U.S. Highway 550 from Silverton to Ouray has made a list of the most dangerous roads in the world. U.S. Highway 550 is listed alongside the “Highway of Death” in Iraq and the “Death Road” in Bolivia as one of the world’s 12 most dangerous roads. U.S. Highway 550 from Silverton to Ouray has made a list of the most dangerous roads in the world. That puts it presumably on par with the “Highway of Death” in Iraq and the “Death Road” in Bolivia. Locals, however, don’t quite see it that way. See story, Page 3A. 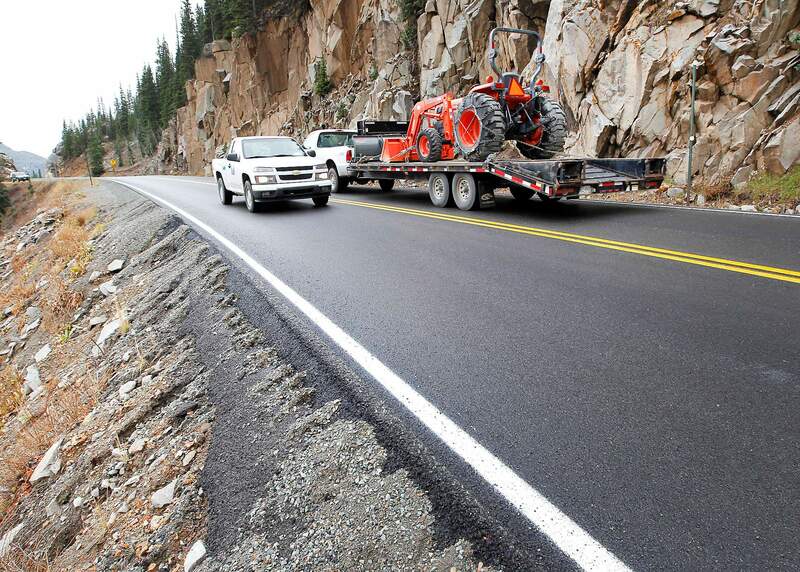 The list written by Peter Koch of TheActiveTimes.com notes the highway’s 12-mile stretch south of Ouray is “steep, twisting and completely unforgiving of driver error,” particularly in winter. The portion of U.S. Highway 550 is listed alongside the “Highway of Death” in Iraq and the “Death Road” in Bolivia. Twelve roads made the list. Locals said the highway’s reputation is somewhat overblown. Leaver said 18-wheelers transit the pass throughout the winter, along with Alsco trucks that deliver hotel linens, Meadow Gold trucks that deliver milk and Sysco trucks that deliver food products. The Beaumont draws many guests from Texas, Arizona and Southern California – sunny places lacking in 11,000-foot highway passes – and visitors occasionally will comment about the drive. “Many people are unsettled by the lack of guardrails and get themselves wound up about it,” Leaver said. Most visitors are happy to be done with the drive, however. “It’s beautiful, it’s breathtaking and they’re glad to be on the other side,” Leaver said. Jay Lowe, a manager at Ouray Brewery, agreed. The Ouray Chamber Resort Association was at work on a response to the USA Today piece. Marketing manager Heidi Pankow said motorcyclists and others come to Ouray specifically to drive through Red Mountain Pass. Nancy Shanks, a spokeswoman for the Colorado Department of Transportation, said the highway is not even one of the most dangerous in the state, let alone the world. “In fact, it’s below average for accidents,” she said. 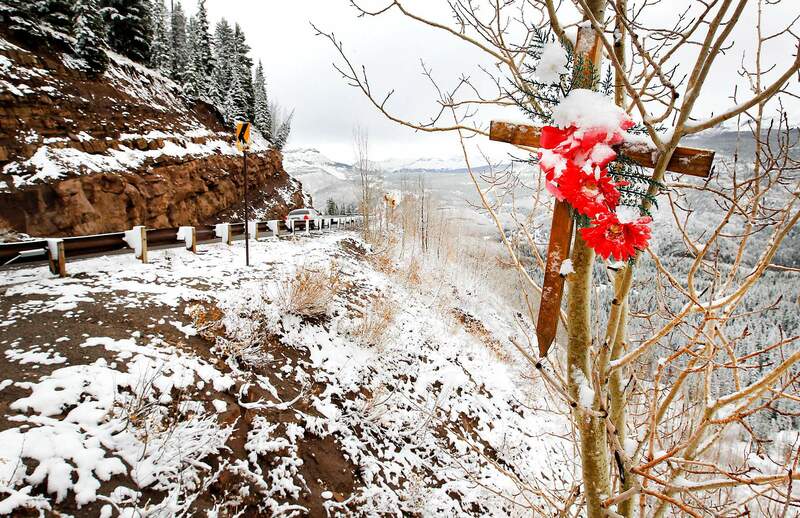 In 16 years from 1995 to 2010, nine people were killed in eight incidents on Red Mountain Pass. There were 302 total accidents in that period. Of those, most occurred in dry conditions, and a majority involved only one vehicle. 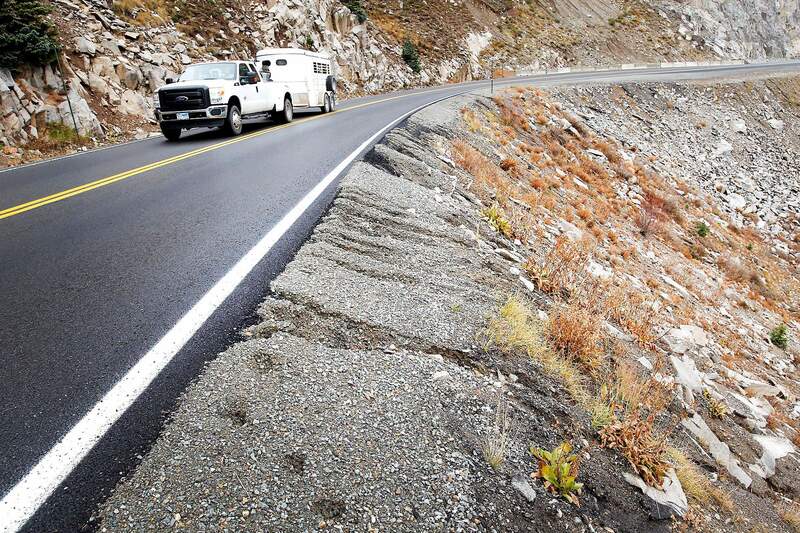 The highway’s lack of guardrails is explained by the need for snow removal in winter. “There’s no room,” Shanks said. Shanks said she’s familiar with Bolivia’s Death Road from a TV program. Much worse, she said.